NEW VIDEO just in time for the weekend! 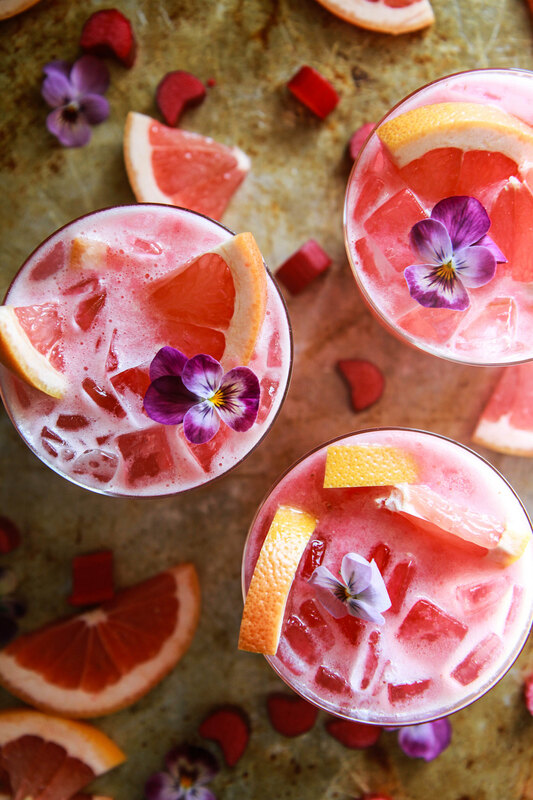 You have got to try these super refreshing and delicious cocktails. 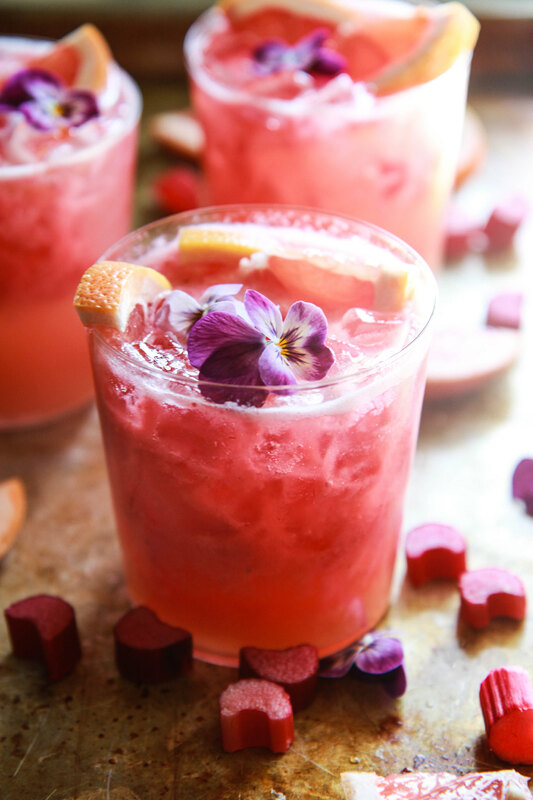 They are super easy, eye-popping and perfect for Summer sipping! These gorgeous cocktails are just in time to celebrate Pete and my 12 year wedding anniversary (I love you honey!!) and to sweeten the pot on a nice long weekend. I absolutely love grapefruit and rhubarb together and they happen to be a lovely compliment to gin and tonics. Plus we have more rhubarb growing than we know what to do with- so why not use it up with cocktails?? What are you guys doing this weekend? We are pretty chill. Take walks, mix cocktails, nap, repeat. Tell me what you are up to?! In a saucepan, combine the rhubarb with the sugar and water and bring to a simmer over medium heat, cooking until all of the sugar has dissolved and the rhubarb has softened. Puree on high until smooth and chill in refrigerator until cool. This is the perfect way to toast to the long holiday weekend! I’m all about the rhubarb recipes and this sounds awesome! These are gorgeous! I’ll take a glass (or two)! !